Long before animal-assisted interventions were documented to improve health, these professionals aligned through a shared observation. They saw that pets were having a positive impact on their human clients’ health and happiness. Each had observed this phenomenon in their own practices (and personal lives). They theorized there was much more depth to what they were witnessing and recognized that anecdotal stories were not enough to capture the attention of the medical community. They concluded that scientific research was needed. A search of existing medical journals quickly revealed that little information was to be found, so they committed themselves to ensuring research would be completed to further explore the effects that animals have on people’s lives. During the early 1980s, Delta Society leaders paved the way in recognizing the importance of the human-animal bond. 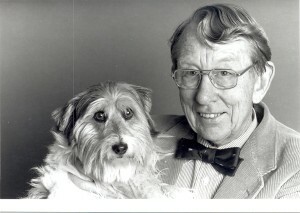 In 1981, co-founder Bill McCulloch, DVM helped initiate the AVMA Human-Animal Bond Task Force to review the profession’s role in recognizing and promoting the human-animal bond. This AVMA Committee continues to this day. Delta Society leaders were also instrumental in helping with the passage of the Housing and Urban Rural Recovery Act of 1983. Their testimony in Washington, DC and the subsequent passage of the Act by the federal government sent a strong public signal that it recognized the therapeutic value of pets in Americans’ lives. In the years that followed, research findings emerged, with remarkable conclusions. Early findings included evidence that time spent with an animal reduces blood pressure, lower stress and anxiety levels. Studies also demonstrated that the human brain releases chemicals known as endorphins (that trigger positive feelings) when interacting with animals. Bolstered by this critical scientific research, members of Delta Society recognized it was time to put this knowledge to use in everyday applications. Through the late 1980s and early 90s, Delta Society continued to strengthen its presence in this expanding field. New initiatives were developed to build on the organization’s research foundation. These programs focused on providing direct services at the local community level. Among these initiatives was the Pet Partners® program. 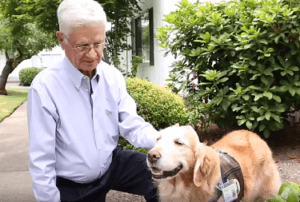 Pet Partners® was the the first comprehensive, standardized training in animal-assisted activities and therapy for volunteers and health-care professionals. In 2012, Delta Society formally changed its name to Pet Partners® in order to convey its mission clearly. Our Therapy Animal Program continues to grow across the US, making approximately three million visits each year. In 2017, Pet Partners celebrated our 40th anniversary. 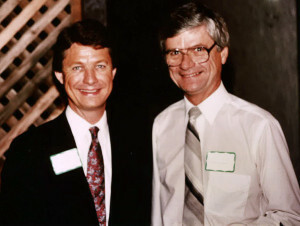 Click here or on the image below to view a video about our co-founder Dr. Bill McCulloch and the history of Pet Partners. Our history is rich with ground-breaking work. Volunteer with us and help us write the next chapter in the Pet Partners story!